The winner of the Motor Neuron Disease raffle was announced last week. “Our first prize quilt raffle winner came in today. 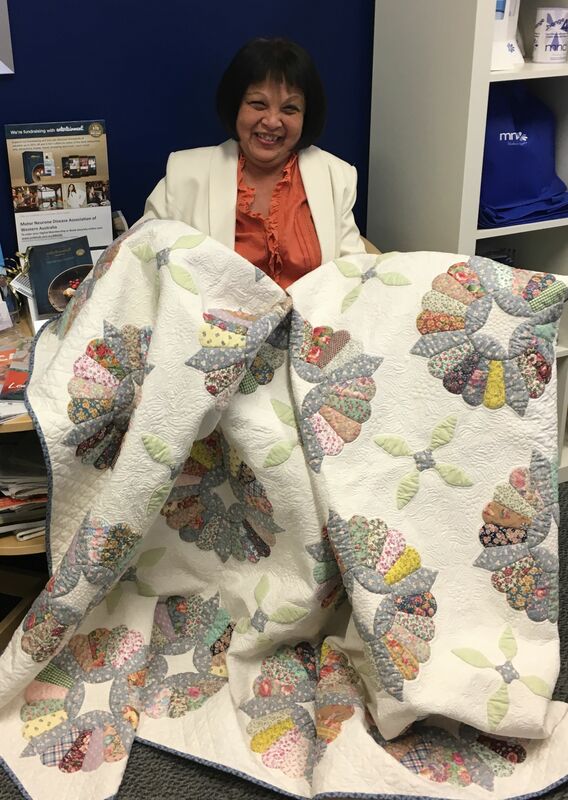 She was thrilled to receive the much loved quilt that our fabulous volunteer Margaret started over 20 years ago, exquisitely finished off by the very talented Megan, and superbly coordinated by Barb, Marie, Gwen, Johann and our many wonderful volunteers.